Besides the rumour that HTC will have just one flagship device this year, serial leaker Evan Blass (@evleaks) shared yet another leak on Twitter about the company. HTC has apparently jumped on the notched display bandwagon, which will first appear on the yet unannounced U12 Life. According to Blass, the U12 Life’s display will supposedly feature the notch at the top of the phone. Further, and if the rumours are to be believed, it is very likely that HTC will be announcing the phone alongside its flagship U12+ sometime during the month of May. 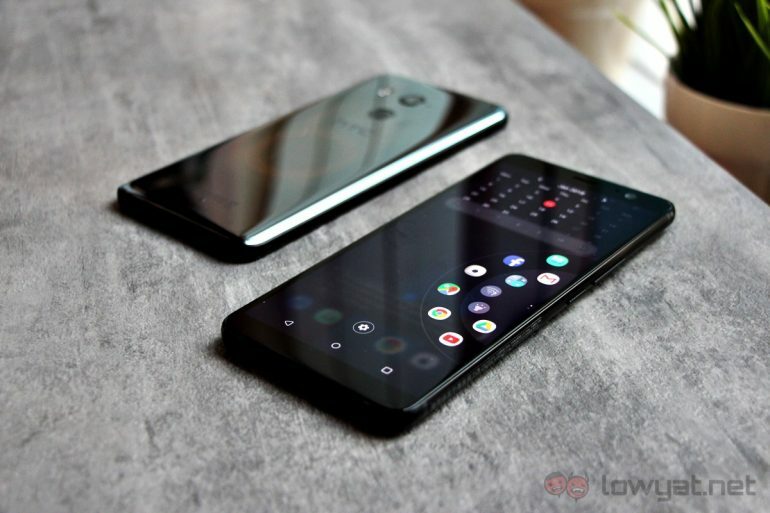 Since the launch of the iPhone X and the Essential PH-1, many smartphone manufacturers have been riding the wave of the notched display and have implemented them into their own flagships devices. Besides the two aforementioned brands, other phone brands that have embraced the notch on their displays include the latest ASUS Zenfone 5, and the upcoming Huawei P20 and P20 Plus. The appeal of the notch display has been a point of debate among many smartphone users. On one hand, some don’t mind or even tolerate its existence, while the majority of consumers have stated that it does nothing for them, with some even going so far as to say that the feature is pointless as it doesn’t seem to serve any specific purpose other than making a phone stand out.